This project, which I jokingly dubbed The Ware Conditioner, is a 4-channel DC fan controller, with PWM speed control and RPM feedback. It is designed to cool home theater equipment located inside of an enclosed cabinet. The controller is triggered from a 12V trigger output, as most home theater processors and receivers enable an output trigger when turned on. The controller runs the fans while the equipment is on, and will continue to run them for a programmed period of time after de-activation of the trigger signal, before finally shutting the fans down. Each fan channel has programmable speeds for initial turn-on (to overcome startup inertia in the fan), run (to run as quietly as possible during use), and shut down (to blast cool air for final cool-down, loudly if necessary). 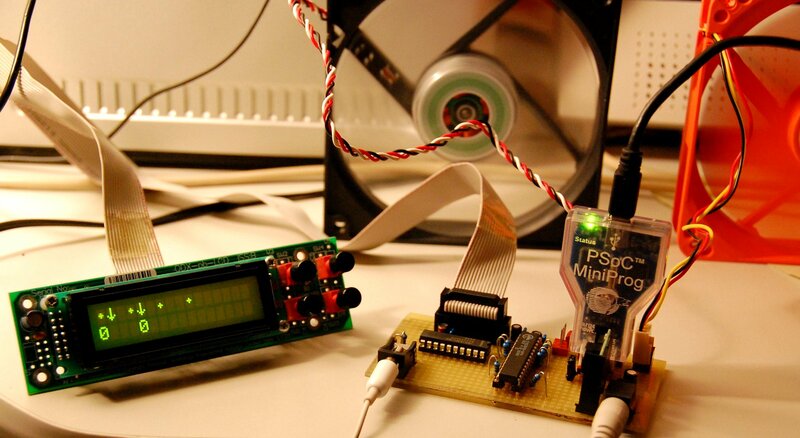 The prototype was built on a piece of perf board, and served as a project to experiment with an early version of the Cypress PSoC microcontroller and programmable analog system-on-chip. The user interface was implemented using a surplus LCD and button interface, which I salvaged from discarded IT equipment and reverse engineered. 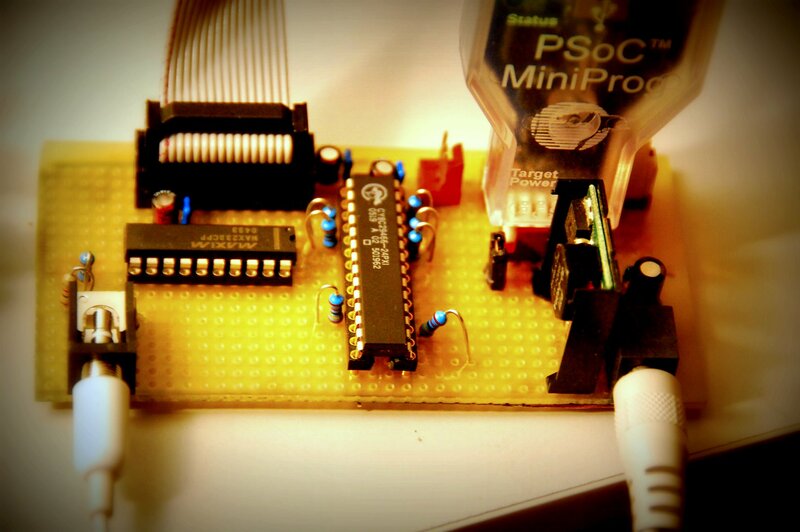 The code was written in C in the PSoC Designer tool.